civilian society – a sort of halfway house for war veterans, apparently designed to help them deal with traumatic experiences and learn to adjust to everyday life. However, this facility is hiding a very big secret about the program's actual objectives and methods. A. It is supposed to be in Tampa, Florida. To be more exact, the fictional address of the Homecoming facility is "1 Mirror Pond Road., Tampa, FL 33615". For what it's worth, there is no Mirror Pond Road in Florida. There is a Mud Pond Road in Thonotosassa, Florida. And there is an actual Mirror Pond in the state of Oregon. But no Mirror Pond Road In Tampa. A. This is the principal location for the show, so we see it in virtually every episode, beginning with the very first episode ("Mandatory") and ending with the 10th and last episode ("Stop"). It is where Heidi ( Julia Roberts ) works as a counselor of sorts, and where she interacts with a group of returning soldiers, becoming especially friendly with a young veteran named Walter Cruz ( Stephan James ). In Episode 8 ("Protocol"), as the show flashes forward to 2022, we see the same building four years later, when a semi-amnesiac Heidi returns to the facility (with Colin in tow), looking for answers, only to find that Homecoming has apparently been replaced by another business. (A new sign outside reads "Mirror Pond Wellness Center"), and that little remains of the facility's previous interior. 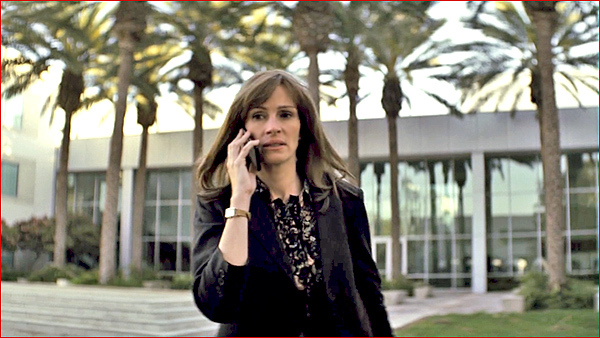 And there is a lengthy scene at 22:06, when Colin confronts the investigator (Thomas Carrasco) outside, and an angry Heidi pushes him into a fountain. A. This is the former corporate headquarters of a major Japanese automobile manufacturer. A. 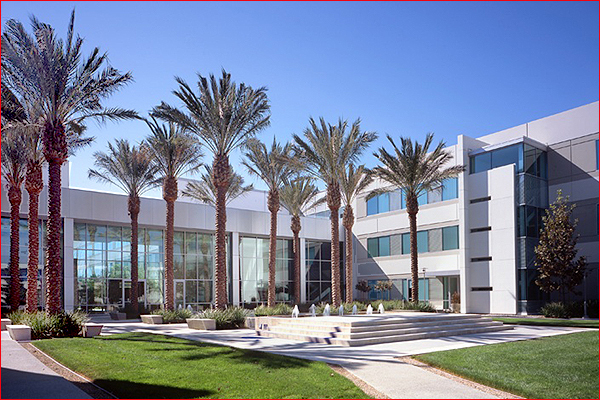 The exterior of the Homecoming facility is actually part of the former corporate headquarters of Toyota in North America. 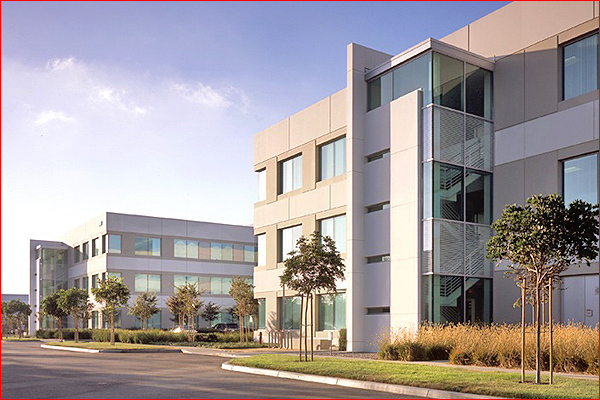 Set on a large, 110-acre corporate campus, its address is 19001 S. Western Ave, in Torrance, California. 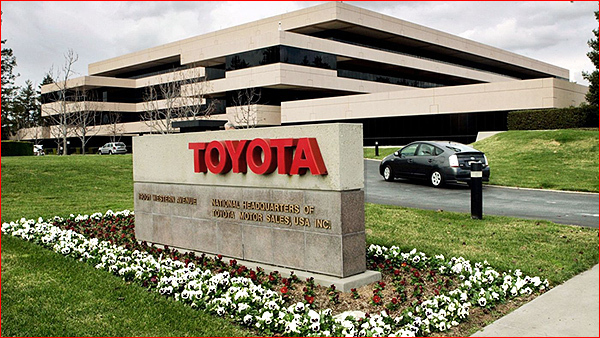 Toyota opened its headquarters here in Torrance in 1967, and stayed here 50 years before ultimately selling the corporate campus (to an Irvine real estate developer, for $270 million) in late 2017 and moving its headquarters to Texas. This series was filmed in the spring and summer of 2017, when Toyota was possibly already transitioning to their new Texas location, a situation which might have made this building available for filming. Torrance is an independent city in the South Bay section of Greater Los Angeles, about 15 miles south/southwest of downtown Los Angeles, near Redondo Beach, Gardena, and Carson. 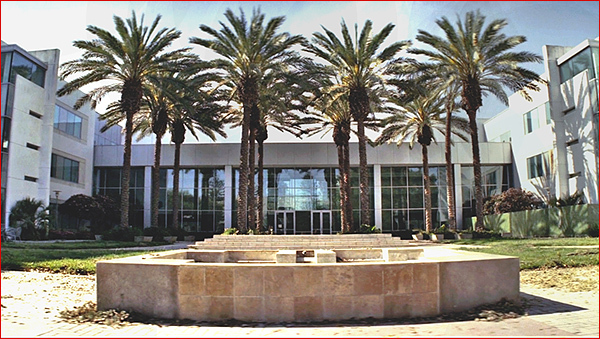 The main view of the building ( seen in the screencap above ), where the camera is looking straight at the front of the Homecoming facility, is looking south at a courtyard of sorts, lined with palm trees, just west off S. Western Blvd. 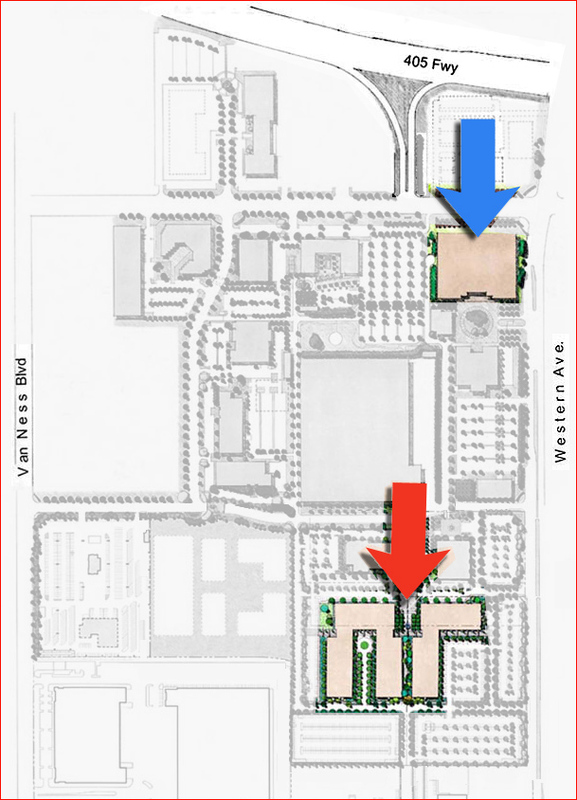 Here is a map pinpointing the building's exact location. 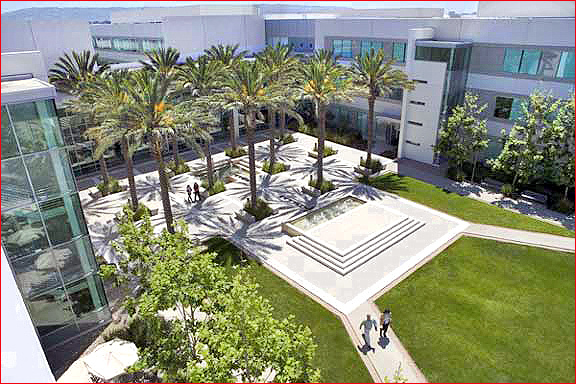 It's important to note that this building is only one of 18 building on the large corporate campus in Torrance, and a different building on the same campus was used for another key location. Here is a Google aerial map view of the same front view. We are told that the interior was built on a huge new sound stage at Universal Studios. 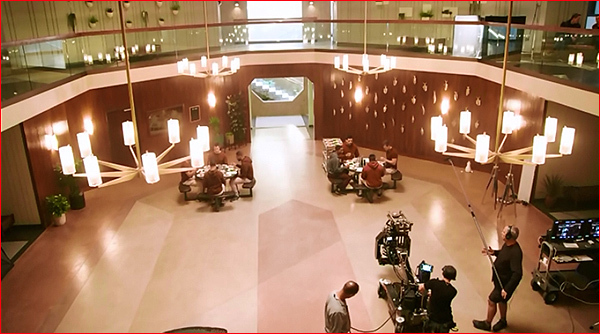 That interior set included the large, octagonal central space at Homecoming where the soldiers meet for counseling, have meals, and where Heidi has her offices ( as well as the file room where the DOD investigator searched old boxes for evidence ). 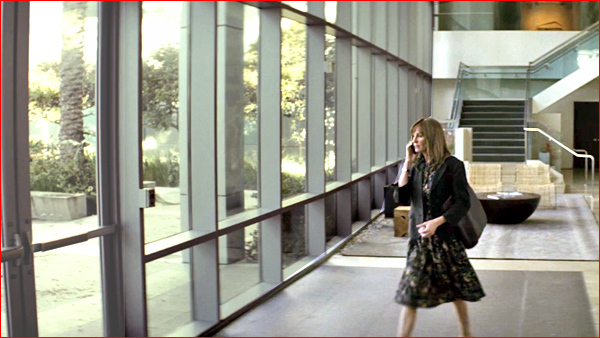 But most of the shots of the building's lobby, especially where we see a character leaving or entering the Homecoming facility, were actually shot on location, inside the glass doors of this former Toyota headquarters in Torrance. A. Fortunately, the former Toyota campus is located close to where I live, so I have driven past the facility often, so I thought I recognized it when I saw it on TV. To make sure, I then compared online images of the Toyota headquarters to the shots of the Homecoming facility – and naturally they matched.